What do you get when you take the master distiller behind the world’s best-selling single malt, one of the whisky industry’s most respected writers, a collection of drams drawn from casks laid down over 40 years ago, and a room full of people passionate about our national drink? No one actually knows. But that’s the real beauty behind one of the most eagerly anticipated talk and taste events on the bill of the Spirit of Speyside Whisky Festival later this month. A meeting of two great whisky minds will take place when Alan Winchester, master distiller of The Glenlivet, and whisky expert Dave Broom team up to share their favourite drams from the iconic distillery. Dave explains, “Every whisky has its own story and we’ve had great fun choosing the whisky that we will taste and share at this event. But in terms of planning, that’s as far as it goes. “Anything could – and probably will – happen. You can do a tasting in a very formulised way, where you reach a conclusion in a slow and steady fashion, and that’s a very valid approach to some tastings. During the tasting on April 30, audience members will be able to sample drams from casks laid down as long ago as 1959: a time long before Alan – who has been in the industry for over 40 years – had started on his career. The sorcerer, who conjures up truly magical drams with the basic ingredients of barley, water and malt, was once an apprentice who started out at the age of 16 as a summer tour guide at Glenfarclas. Within a just matter of weeks he knew whisky was the industry he wanted to work in. He was taken on as a distillery trainee at the end of his first season as a guide, and has worked with the amber nectar ever since. Over the years he has been involved in every aspect of the trade mastering the complex skills needed to work as a mashman, brewer and stillman – and always bringing enthusiasm to every job he has tackled along the way. Until his appointment as master distiller of The Glenlivet four years ago, Alan has worked at many distilleries during his long career, almost all on Speyside - an area recognised all over the world as a byword for the only the finest Scotch malt whisky. He’s been a staunch supporter of the Spirit of Speyside Whisky Festival, right back to the early days in the 1990s when it was little more than an idea on paper. The Festival, which takes place from April 28 to May 2, is now in its 17th year and comprises almost 500 events. 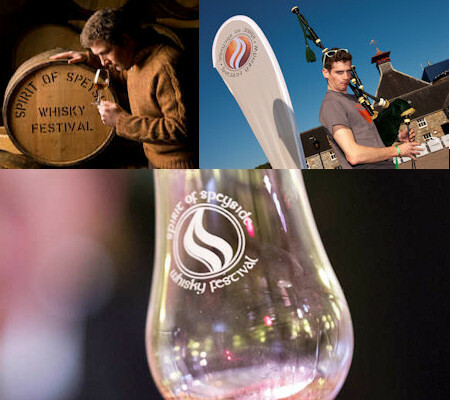 “The Festival has really worked to raise the profile of Scotch whisky over the years. People can come to the area and see that whisky plays a very important role in communities – and to meet the folk who actually make it on their own doorstep is an added bonus,” says Alan. “I’ve done a lot of different events with Dave over the years – on top of mountains and on the edge of lochs – so this will be something a bit more laid back than what we are used to and we’re looking forward to sharing the different cask styles. “I really enjoy taking part in events like this because it means I get to meet with and talk to whisky drinkers – the people who go out and buy The Glenlivet. “I’ll be sharing stories from my own career, but also about the history and heritage of distilling and how we have seen this fantastic evolution over the past 50 years that has led to an increased variety within each distillery’s range. Alan takes his role as master distiller seriously: he knows the buck stops with him and he is personally responsible for every single centilitre of product – potentially some 10.5m litres of alcohol a year - that runs through The Glenlivet’s stills. And it’s quite a responsibility. The Glenlivet, founded in 1824 by George Smith, is regarded as the dram that started it all as the first legal distillery in the parish. Others soon followed suit, and now the industry is worth billions to the UK economy. Guests at The Glenlivet Over the Decades will be able to learn why its drams are regarded as the best in the world, in addition to being the biggest selling with over one million cases enjoyed in 2015. However, more than that, the relaxed chat and storytelling from two of the most charismatic figures in the whisky industry will be just as enjoyable as the drams. Dave also has a long history in the whisky industry, spanning back to a time when, as a student, he worked on the Black & White bottling line. He’s worked behind bars, on the counter in spirit shops and even an Australian vineyard. He’s written no less than 12 books on whisky, penned innumerable columns for a host of international publications and regularly hosts tasting events. 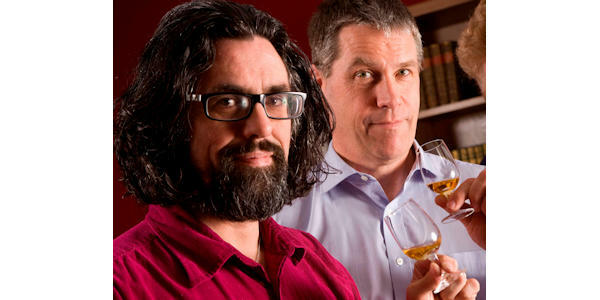 Dave is also the man behind scotchwhisky.com – a website launched last year that has quickly become a bible to the trade and a fantastic source of education and entertainment to whisky lovers around the globe. “I never turn down an opportunity to do an event with Alan because the man knows a ridiculous amount of things about whisky. I’m there because I’m regarded as the expert, but the reality is that I will be learning just as much as everyone else in the room,” says Dave. “Alan never ceases to amaze me with his stories, which are as enlightening as they are entertaining. I think events like this are proof, to me at least, that you can never actually stop learning when it comes to whisky. “They are also what makes the Spirit of Speyside Whisky Festival so great. It is an amazing experience for visitors to meet people like Alan who are so passionate and proud of what they do – it’s literally an opportunity to learn from the master. “Speyside is a large and diverse area and in the very early years of the Festival only a handful of distilleries were participating. Now the Festival is covering a much wider area and it’s heartening to see that it’s no longer just people going around a distillery and tasting whisky at the end of a tour.